Dig the ground incorporating plenty of well rotted garden compost, preferably in autumn or winter. Sow November-March under cloches, providing the soil is not too wet or cold. For main crops sow outdoors from March 5cm (2") deep, approximately 20 seeds per 30cm (12"), in drills 15-20cm (6-8") wide, with 60-90cm (2-3') between rows. For exact information see packets. Harvest June-onwards. HEALTH BENEFITS - Good source of vitamin and folic acid. 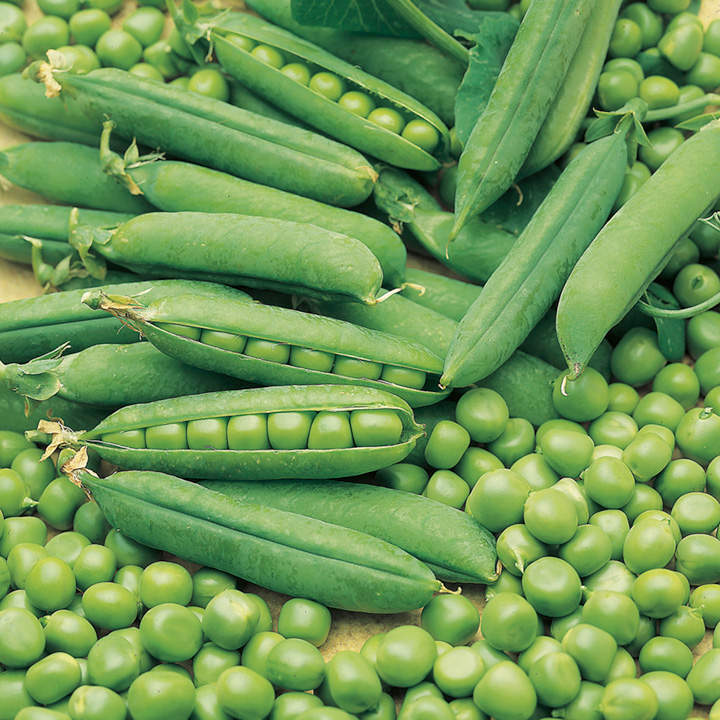 Mangetout types are a good source of vitamins A (For growth, healthy hair, skin, bones, teeth and eyes as well as resistance to respiratory infections) and C (Anti-ageing, wound healing, decreasing blood cholesterol and prevention of infections. Assists the body in absorbing iron) as the pod is eaten in addition to the seeds and are high in potassium (Regulates heart rhythm, nerve impulses and muscle function). 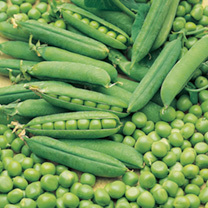 Peas contain soluble fibre useful in removing harmful cholesterol. COOKING HINTS - Eat raw or steam gently to retain nutrient values. As soon as pods are harvested, sugars begin conversion to starch, so eat soon after picking.